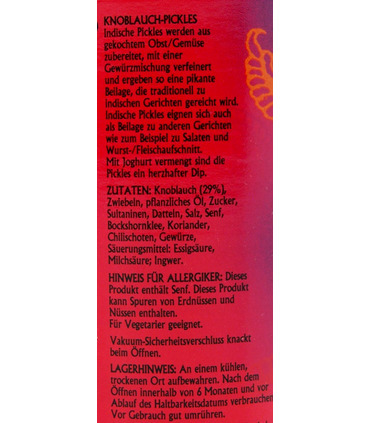 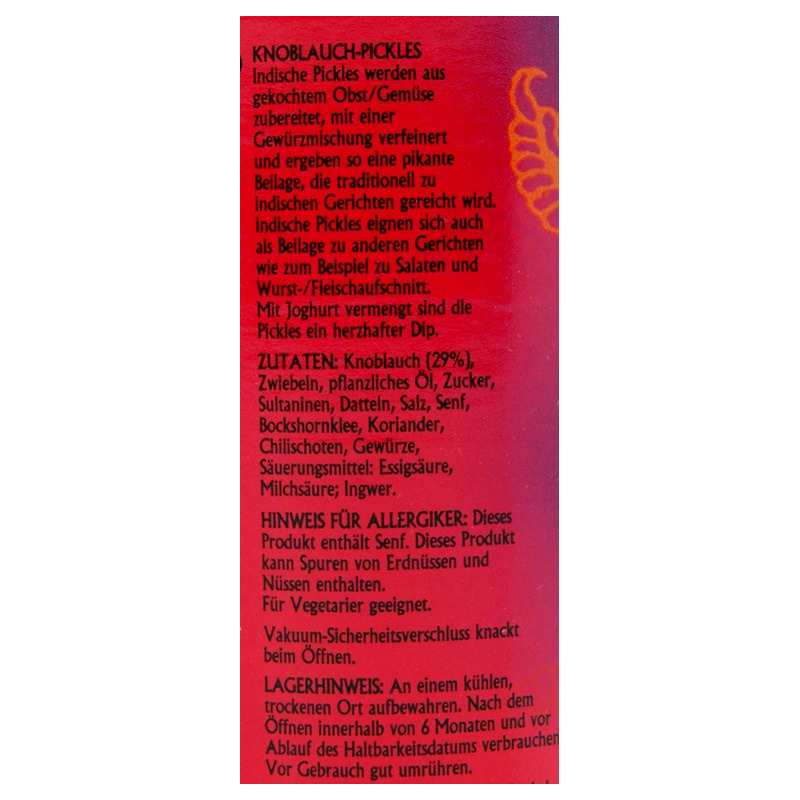 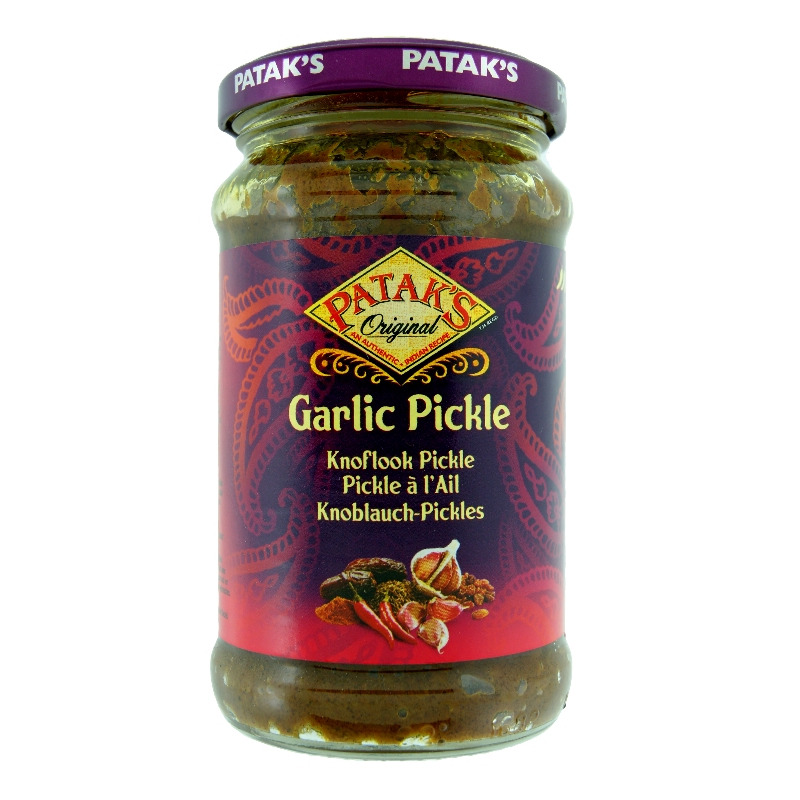 Patak's Garlic Pickle is a great combination of mild Indian baby garlic with sultanas, chilli and authentic spices. 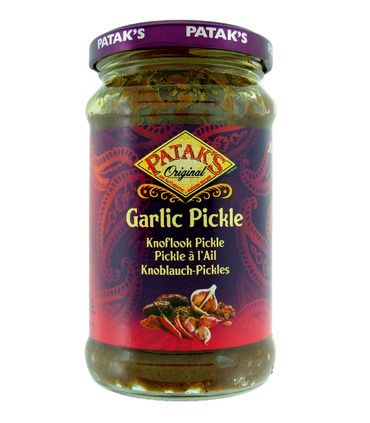 It is a great accompaniment to any dish, adding relish and spice to the meal. 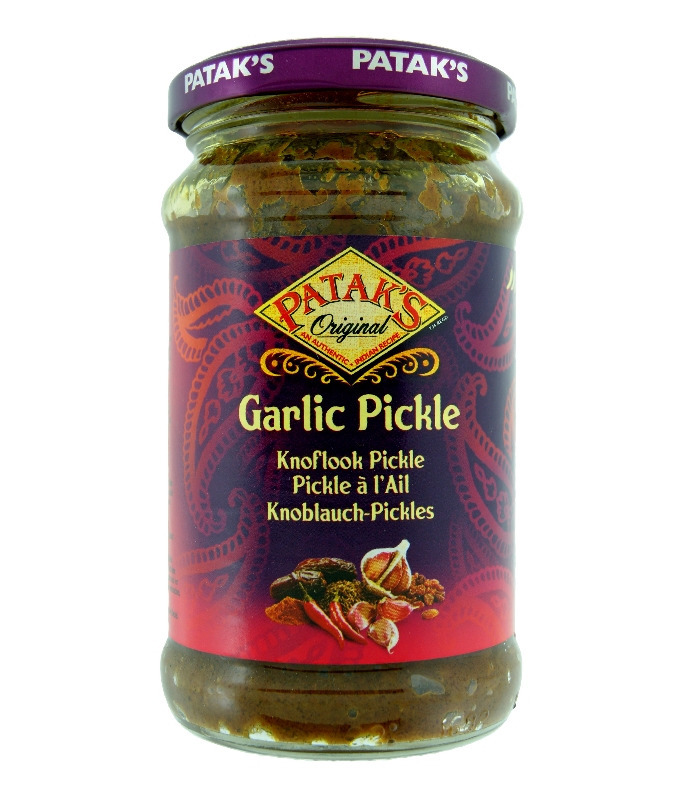 It goes well with Indian flatbreads and rice.